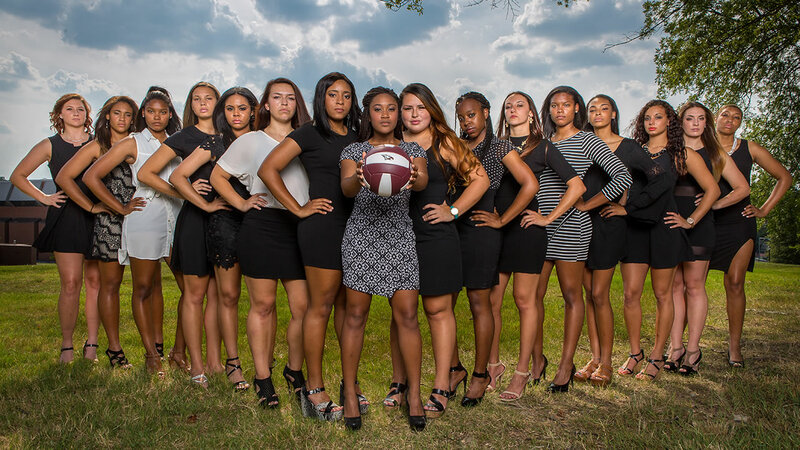 DURHAM (WTVD) -- Fierce photos of North Carolina Central's volleyball team are going viral, already stacking up tens of thousands of views on different social media platforms. However, the Eagles took a different approach. This photo of the team reached more than 20,000 Facebook users in less than 24 hours. A photo posted to the university's Department of Athletics Facebook page on Tuesday had over 36,000 views by Thursday. It also had hundreds of likes and got people on Twitter talking. Kyle Serba, Associate Athletics Director for Media Relations at NCCU, said this year the university gave coaches the option to take pictures out of uniform. The strategy was to give fans the chance to see what the team is like off the field. "Our fans, they're used to seeing our athletes in their uniforms," Serba explained. "They're sweaty, they're not typically at their best in those situations. So the fact that people can see them dressed up, and just how nice our student athletes look when they do that. I think is a positive thing." NCCU volleyball player Casey Curan, 20, said the photos make her feel powerful. "Fierce and beautiful, and I think that's what we are. We're athletes who, we are beautiful people, not just outside, but inside too, Curan said. "And we're powerful because we do everything that everybody else does, in a normal day, and we do volleyball too on top of that." Curan and Serba both hope the photo will help build up excitement for the Eagles in the upcoming volleyball season.